I’m not sure if this story should be submitted to the “cars” or “design” category because it’s suited for both of them. Bran Ferren is a grown-up (and a chief creative officer for a design company) from California who loves to invent and to play with toys. 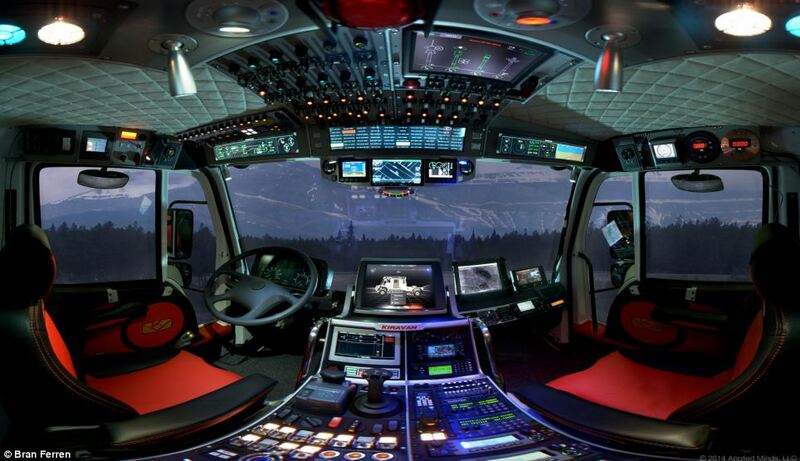 I mean, really big toys. 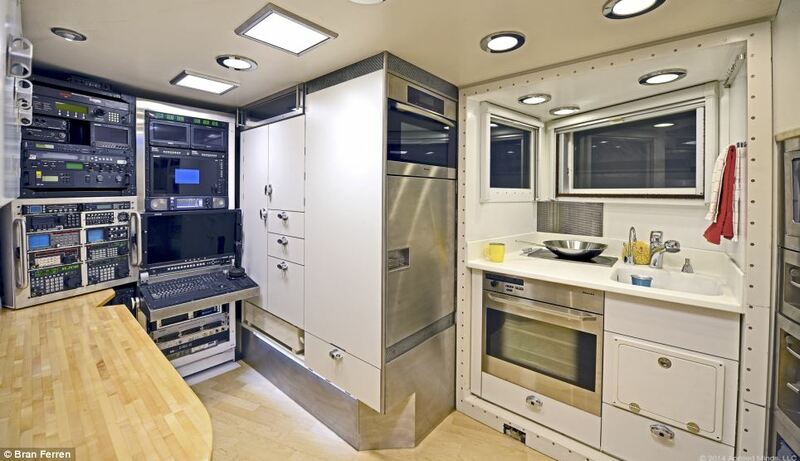 In this regard, he invested millions of dollars in order to create the ultimate camper van with the sole purpose to tour around the world with it. At this point, probably I should mention that the 61-years old man plans to enjoy this trip along with his 4 years old daughter name Ferren. 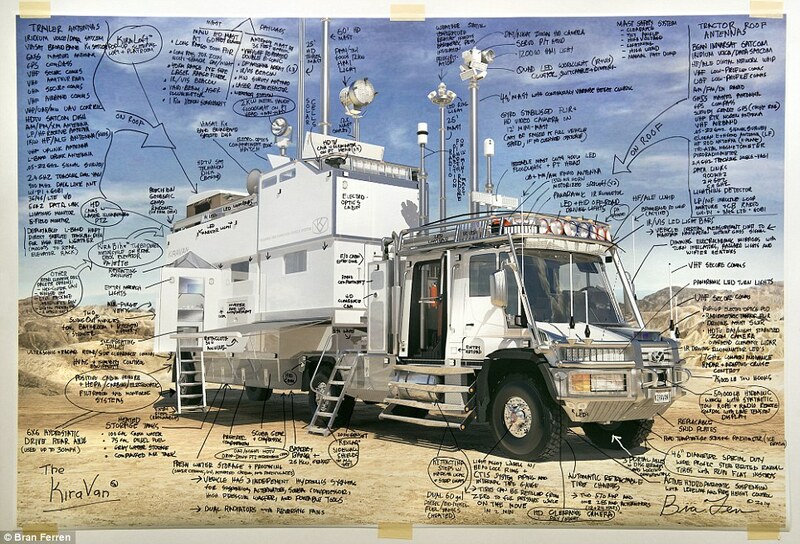 The vehicle is named KiraVan, a name that was “borrowed” from his daughter. 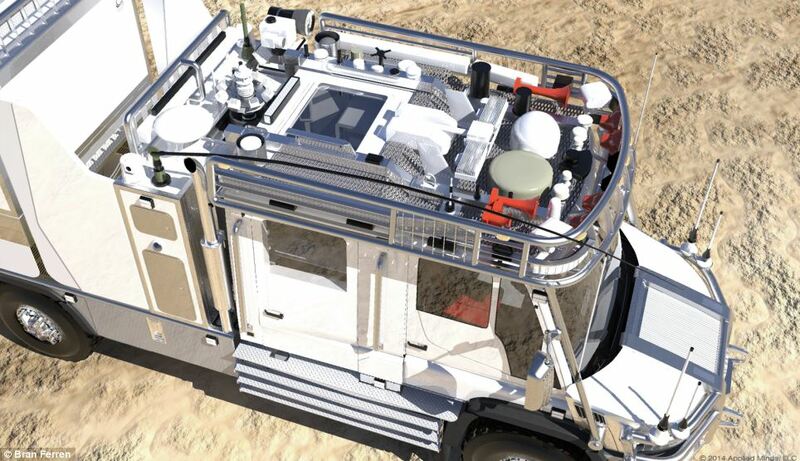 This huge road van can cover the distance of 3,000 kilometers without the need for food, water or maintenance stops. 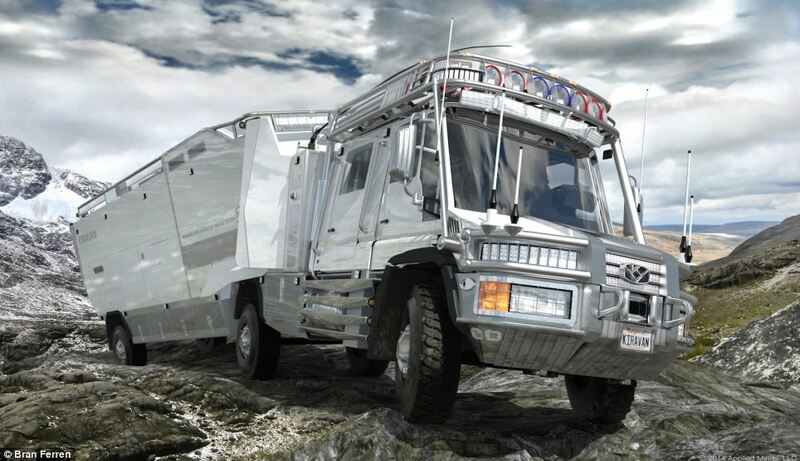 In this regard, the tires are reinforced with Kevlar, allowing this road vehicle to ride to the harshest conditions. 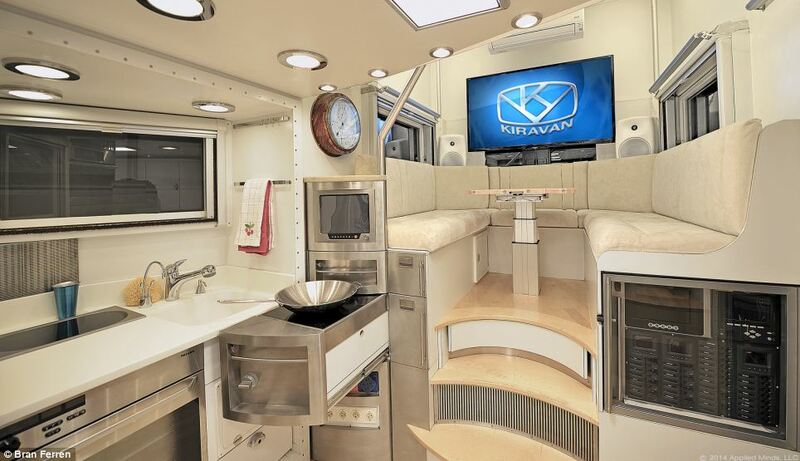 The Kiravan’s cabin was taken from a Mercedes-Benz Unimog and as you can see in the images, it was modified to suite the entire design and functionality. I need to tell you that my current apartment doesn’t have half of this technology. 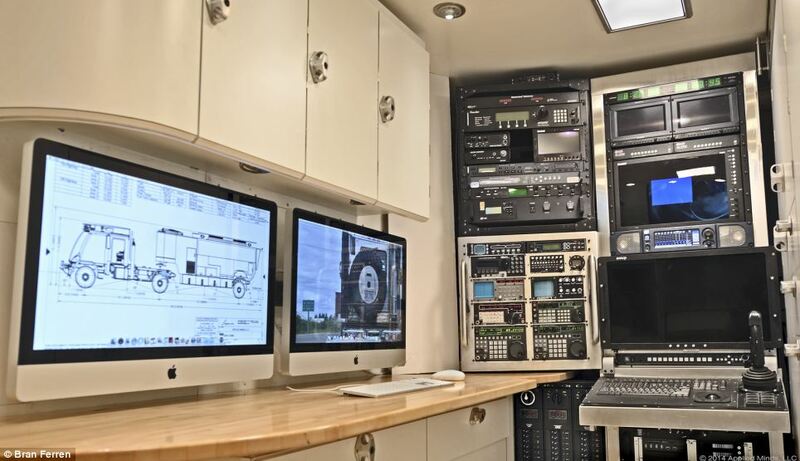 The Kiravan’s trailer is equipped with utilities that are better than those seen in many homes around the globe and there are 22 cameras that monitors the 10 meter “mobile-house” with 22 rooms. If you think you’ve seen ’em all then you should learn that KiraVan has an air drone that can be sent “in mission” to inspect the traffic from the routes ahead. That’s petty smart if you ask me!